Déjà vu. It’s a term taken originally from the French language that describes the feeling one gets after realizing you’ve already had the same experience once before. For the New Orleans Saints defensive secondary, it’s a feeling that they’re hoping to avoid this upcoming Sunday afternoon when they travel to Raymond James Stadium in Tampa Bay, FL to face the NFC South division rival Buccaneers. 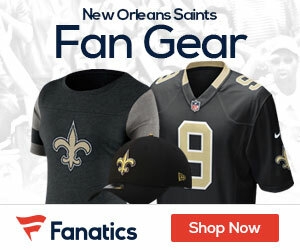 As most Saints fans will recall: it was only a few months ago when that same group got “torched” in a Week #1 loss at home in the Superdome to the Tampa Bay Buccaneers while allowing 529 yards and six plays of 30 or more yards in what can only be described as an embarrassing performance. In that very same contest, Bucs back-up QB Ryan Fitzpatrick joined former 1990’s Redskins QB Mark Rypien (11-10-91 vs. ATL) as the only quarterbacks in NFL history to pass for at least 400 yards, 4 TD’s and zero interceptions while also rushing for a touchdown in a single game. The Saints ended up losing by a score of 48-40 and began the 2018 Regular Season with an (0-1) record; before they ultimately ended up correcting the issues from that day and proceeded to reel off 10 straight victories in a row — which of course is why the Saints now currently find themselves with a (10-2) win-loss record and can clinch their 2nd consecutive NFC South Division Championship with a win this Sunday against these very same Buccaneers. Nevertheless, this Sunday’s rematch takes on an interesting perspective, when you take into consideration just how BAD the Saints defensive unit and the secondary in particular, looked like on that day when the season first began. You might even recall that after the game, an irate and visibly annoyed Saints head coach Sean Payton addressed the team’s defensive issues. Now to be completely fair, when a defense allows 529 yards and six plays of 30 or more yards, it’s hard to pin your failure on any one specific issue. But as Payton observed: it was clearly evident that clearly Fitzpatrick seemed as if he had ALL DAY to throw the football. As noted by New Orleans Advocate beat writer Nick Underhill: early on, the run defense wasn’t what it should have been, which made it harder to rush the passer. And the inability to keep Fitzpatrick in the pocket created a double-edged sword: the Saints needed to be conservative enough not to create running lanes but still get there fast enough to affect the quarterback’s throws. As Underhill pointed out: without much pressure, Fitzpatrick was able to pick apart the secondary. And with the secondary not covering well, the pass rush didn’t have time to get after the quarterback. It’s hard to do one thing well when the other area of the defense isn’t clicking. It’s impossible when both elements are struggling. One obvious reason why the pass rush struggled as badly as it did, is that Fitzpatrick was able to succeed with the notable help of his ability to quickly get the ball airborne to his receivers. Underhill makes the observation that Fitzpatrick threw the ball extremely fast. On one play, he let the ball fly in 1.83 seconds on WR Mike Evans’ 50-yard touchdown with Marshon Lattimore in coverage in the 3rd quarter, and 1.75 seconds on a 35-yard gain to WR DeSean Jackson in the 4th quarter with Ken Crawley in coverage. Fitzpatrick’s “quick trigger” made it hard for the pass rush to get anything going, Underhill says; and even though there were a few times when the team knocked on the door, the team only ended up with five pressures. That’s not a misprint. ONLY FIVE. Now of course since that time, the Saints defensive unit as a whole has shown dramatic improvement, and the pass rush in particular has been a big part for the team’s recent and very notable success. But nevertheless, it was the Saints secondary that got most of the blame for the horrific performance against the Buccaneers from that day, and the position group’s most-criticized player — 3rd year CB Ken Crawley — was ultimately benched as a result. The Saints would then address that particular issue by trading for 3rd year CB and former New York Giants 2016 top draft pick Eli Apple; who has since brought a steady presence and a calming influence to that same defensive secondary. It would be more than fair to say that in the team’s disappointing loss at Dallas last week, it was Apple who seemed to struggle at times. Cowboys QB Dak Prescott repeatedly seemed to “pick on” Apple with great success in the 1st half; and he targeted Apple on a handful of plays; including one to WR Michael Gallup in which he left Apple trailing behind him by at least several yards. Fortunately for New Orleans, the pass was slightly overthrown by Prescott and it fell incomplete. Additionally: Apple ended up being flagged 3 different times for penalties while in coverage. While Apple’s addition has certainly allowed the secondary to enjoy much greater success; the former Ohio State University star still has much more room to improve. Apple on occasion seems to lose his concentration and focus, which he clearly did on that play above to Gallup; as well as a few other times since joining the roster. Nevertheless, Apple possesses elite-caliber athleticism and an extremely high football I.Q. and also excels at “press” coverage. He’s notably had previous success against what’s referred to as “bunch” and “trips” offensive passing formations); and his presence has allowed the secondary to lock down the other side of the field opposite of fellow former Buckeyes teammate and 2nd year Saints CB Marshon Lattimore. Which is that given the obvious success that Tampa Bay was able to have in the first meeting between the two division rivals, can we expect to see Buccaneers offensive coordinator Todd Monken go after the Saints secondary once again this Sunday? The Bucs still have the #1-ranked offense in the entire NFL; averaging (442.7) yards per game and also leading the League in passing yardage (344.5 yards per game). However, one very notable difference for the Tampa offense in this coming Sunday’s match-up will be at the quarterback position. 4th year QB Jameis Winston has now since taken over the reins for the Buccaneers under center, after he had missed that season-opening game at the Superdome while serving a 3-game suspension for violating the League’s conduct policy in the off-season. Winston has shown great improvement since his well-documented struggles of last year; and hasn’t turned the ball over at all in the past two weeks, both wins for Tampa Bay (including last week’s 24-17 win over the Panthers). Since his return to the starting line-up, Winston has completed 157 of 232 passes for 1,941 yards and 12 TD’s, along with 11 interceptions. But perhaps more importantly for Tampa: Winston’s 67.7% completion percentage is the best of his entire career up to this point. But just WHO Winston will be throwing to, will likely be the determining factor in the Bucs’ attempt to repeat their success from Week #1. Tampa Bay #1 WR Mike Evans, who has a team-best 1,121 yards this season, caught seven passes for 147 yards in that season-opening win; but could be without his “sidekick” — Bucs #2 WR DeSean Jackson. Jackson too had a great stat line in that game against New Orleans, with 146 receiving yards and notably “burned” Crawley on a handful of pass plays. But the speedy veteran missed last Sunday’s game against the Panthers with a thumb injury, and it looks as if he could be out again this week as well. The Bucs were able to compensate for the loss of Jackson however, thanks to #3 WR Chris Godwin; who filled in admirably with five catches for 101 yards Sunday. Godwin is a more than capable replacement for Jackson, as his 676 yards receiving clearly indicates. But it’s also important to note: Tampa Bay actually has the most interceptions of ANY team in the entire League (23). That could prove to be beneficial to a Saints defense that honestly played well last week against the Cowboys, notching a season-high 7 sacks against Prescott and completely shut out (zero points scored) their offense in the 2nd half. The Saints still had a chance to defeat Dallas in the game’s final 2 minutes, but Brees threw an uncharacteristic interception to Cowboys CB Jourdan Lewis with 2:08 remaining. Bottom line: the much-improved New Orleans defense has an opportunity to completely erase the bad memories from that horrific Week #1 performance, by playing well this Sunday afternoon at Raymond James Stadium. But if the Saints hope to clinch their 2nd consecutive NFC South Division Championship and remain in the hunt for earning home-field advantage throughout the NFL Playoffs, then they’ll first have to avoid getting “torched” once again by the top-rated Tampa Bay passing attack….